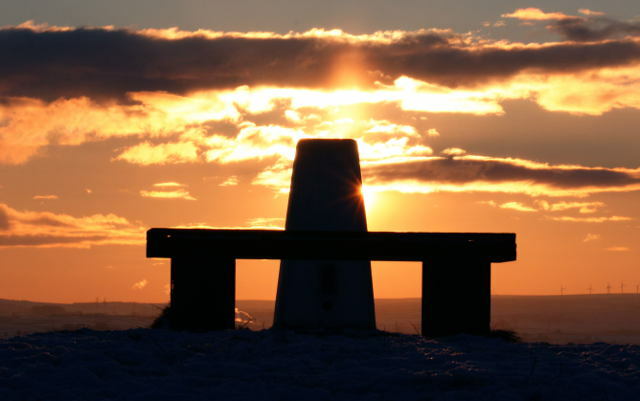 The Friends of Baildon Moor is a voluntary organisation dedicated to the conservation of Baildon Moor, a much loved and popular open common bordering Rombalds and Ilkley Moor in Yorkshire. The challenge it faces is supporting a multitude of often competing outdoor activities without damaging this precious community space. To work in collaboration with Bradford Metropolitan District Council and others to promote the conservation, protection and improvement of the physical and natural environment of Baildon Moor. To promote Baildon Moor as an open space amenity of education, recreation and leisure time in the interests of social welfare and with the objective of enhancing the quality of life of those living, working near or visiting Baildon Moor. The Friends of Baildon Moor is a democratic body that represents the views and opinions of the local community and friends from further afield. Hi all, i just wanted to receive peoples view on constructing a wind farm on Baildon Moor, I am studying this topic for my GCSE geography coursework and would really value your opinions on where it would be best for the wind farm to be constructed. Hi, Baildon Moor is protected as an urban common and no construction whatsoever is permitted. It is also home to rare species of birds and insects, considerable prehistoric archaeology as well as industrial heritage. While renewable energy needs to come from somewhere, this would not be at all an appropriate site. Personally I’d be against it. Not only are these things unsightly and a danger to wildlife, they also don’t generate the amount of power they are alleged to do. I completely agree with you, I do not think that Baildon Moor is a site which deserves to be spoiled by wind farm constructions, however, I meant to say that this is only a topic in our GCSE, it is not actually something that will happen. I’m sorry if the last post was unclear. According to the Natural England map of Access Land, Baildon Moor is Access Land (see it on the map here You will need to search for "Baildon Moor"), as defined by the Countryside and Rights of Way Act 2000. My understanding is that registered common land was included within that act – it didn’t stop being common land, but all common land additionally became Access Land. The Natural England guidance on Access Land and dog walkers is as follows – see in context here. “The new right requires you to keep your dog on a lead of no more than 2m long between 1st March and 31st July (the main breeding period for ground-nesting birds) or at any time of year when you are near livestock. Leads are specified as even the best trained dog may occasionally become unresponsive. Specific local restrictions may also be in place, such as excluding dogs from grouse moors. Please check the CROW access maps and restrictions information and look out for local signs. Dog restrictions and exclusions do not affect the right of a person reliant on a guide or hearing dog to enjoy the new right of access but these dogs must also be kept under close control. It’s interesting to consider what the “local tradition or tolerance” regarding dog walking is on the Moor, and how this effects things. I suspect it would take a court case to resolve that one. In answer to the original query though, I’d say the signs are correct, and in line with Natural England guidance that can be viewed in this document. Thank you for your response, and I can agree with your findings, although the Act seems a little vague in places regarding local traditions. Having lived in Baildon all of my life I have rarely seen anyone with dogs on leads on the Moor. I also notice that the Act also restricts the use of pedal cycles and horses other than on bridlepaths, yet I have seen no signage relating to this. I regularly see large groups of race horses training on the moor and they rarely use the bridlepaths. They also cause extensive damage to the moor through constant use. I do agree that we need to protect the Moorland and its wildlife, but also feel that its unfair to pick on responsible dog owners when other users also cause problems. I feel I need to add a bit here. As well as the race horses there are lots of other horses both single and in groups that walk everywhere and anywhere other than the bridlepaths, all the footpaths on the moor are impassible in the winter due to both horses and cycles using them rendering them unfit to walk on. By far the damage on the moor is caused by horses and cycles, and as I live in the middle of the moors I tend to see more than the average person. The worst thing with the dog owners is virtually every single day I have to pick up dog doo bags which have been dumped irresponsibly all around the footpaths. Because urban commons may have pre-existing conditions applied to the right of access under provisions in section 193, section 15 of the CROW Act recognised these, rather than impose those of the CROW Act. Thus CROW access rights do not have primacy on Baildon Moor, as it is an urban common. I should also point out that the woodland contained in Shipley Glenn is not part of the registered common. It was the un-entitled encroachment of commoner’s sheep off the moor that has degraded the ground flora of this woodland such that it has few Ancient Woodland Indicator plants. It now appears to be suffering the start of further degradation through unnecessary tree management. It should be noted that this woodland is one of the reference sites that was used in the development of the National Vegetation Classification System for woodland, published in 1991. While oak communities (W10 & W16) make up most of the woodland area, there are areas of the two ash communities (W8 & W9) as well the alder community (W7). These communities are distinct and should not be put at risk by the actions of uninformed people. Baildon Moor has been a registered urban common for many years, with rights of access by the public for “air and exercise” and recreation; this is not limited to the recorded public rights of way. These are similar notices to previous years and are taken from Natural England guidelines by the Bradford Council Countryside Service in order protect the ground nesting birds living on the Moor. The latest Dog Control Order coming in later in the year will require people to place their dogs on a lead at the request of an authorised person. Please could you advise me has baildon moor had its status changed. I have noticed signs have been put up around the moor indicating that dogs have to be on leads during ground bird nesting season on open access land. As i understand it baildon moor is not open access land, please could you clarify.